Product Placement is a huge business in Hollywood. Why, had PhoneArena been around in the day, you might have seen Doogie Howser reading the site before posting his daily diary at the end of each episode. Or even before that, couldn't you imagine Archie Bunker arguing with the Meathead over which OS was better, iOS or Android? Would Edith have stood up for Windows Phone 8 or BlackBerry 10? What brings up these strange thoughts at such an ungodly hour in the morning, is a couple of sightings of the Nokia Lumia 920 on television. Yes, the handset has suddenly picked up some momentum, and finds itself being talked about in the same conversation as the Apple iPhone 5, Samsung Galaxy S III and the Samsung GALAXY Note II. So it might not have been much of a surprise to find the model starring in Don Cheadle's House of Lies about a management consultant firm. Red and black versions of the handset were seen on the last two episodes. A Windows Phone 8 model in the workplace? Good product placement by Microsoft, getting a management consultant to forgo the BlackBerry. 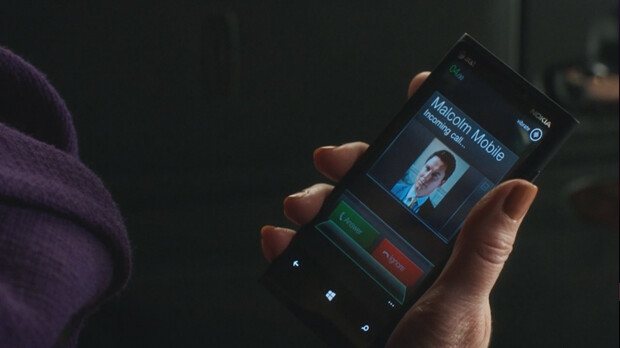 The Nokia Lumia 920 also showed up on Arrow which is a series about the Green Arrow comic book hero. The picture accompanying this article is from the 11th episode of the first season, and you can see the chrome enhancements made to the UI by the prop guys on the set. And yes, we should repeat that Jessica Alba was indeed spotted with a white Nokia Lumia 920 at a fashion show. Whew! What a busy week for the Windows Phone 8 model. i really dont understand google. apples been such a douche bag sueing everybody, trying to get rid of google from ios(maps and youtube app) and declaring thermonuclear war and so on. yet google just smiles and still plays friendly with apple giving them maps again and trying their utmost to get their apps on ios. yet when microsoft does things to them they go all sour and give them the cold shoulder. its suspicious, are they really afraid of microsoft or smthing? Microsoft is really the big threat to Google, that's for sure. Apple has a very different product portfolio and functionality focus, MS and Google are actually quite overlapping. Windows 8 and WP8 synergies should indeed scare the s**t out of Google, since Google has not had much impact on the productivity side of things. 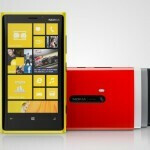 The value proposition of Win8 and WP8 is massive, and MS has a lot of muscle to put behind it. Google docs and Android really does not have much to fight with when it comes to that, and productivity bleeds into consumption more than the other way around. By this I mean that if you are more or less forced to use one platform due to productivity needs, you're less likely to use a separate platform for consumption. End result: Win8/WP8 is a massive threat to Google's offerings, and that will start showing this year. Wow. I have never read such a piss poor analysis of this industry. Productivity? You gotta be s**tting me LOL No wonder Windows Phone 8/RT is making so much sales... not Fact is, no manufacturers even care about WP8; it's only Nokia. You see manufacturers like Samsung and HTC releasing only 2 phones for Windows Phone yet releasing several for Android - it's because Windows Phone has no profitability. Everything looks the same. No differentiation = no profit. So why is Google not developing any apps for WP8? Because Microsoft is just as much of a douchebag with lawsuits to Google like Apple is. Only difference is that iOS has a substantial user base and WP8 has almost nil (LOL). Google need not waste resources for a s**tty platform. End result: Microsoft f**ked up AGAIN. Same with Nokia. They need to scrap that piece of s**t and start all over. You can down-thumb and report my comment all you want, but it's the truth. Deal with it. Seems u the one madd. Let's check back in a year then, and see where things stand. Chrome enhancements? Guess that's in the eye of the beholder, but to me that is hardly an enhancement, more like clutter. WP8 has a very stylish and modern looking UI, and this "enhancement" makes it look more like an old, stale, say 2007-ish OS. How true that nokia lumia 920 has a several issues of overheating and camera problems, continuing battery drain, freezing and restarting issues ? I dk noe abt the overheating issue but all the other problems have been taken care of in the latest portico update! :) when u own an nokia u r sure ur probs will be fixed soon (If any). follow up question...Are all these issues has been solved??? @harsh_doshi alright ,thanks for that , maybe the overheating issues is on the wireless charging stuff??? well, thanks for that papss. Alan F., what is your point of this article? 99.9% of things used in a movie get some sort of editing, filtering, etc., and that's included Apple and Samsung devices used in movies. You're trying to put down a Nokia by bolding the words "chrome enhancements"? Again nothing but another PA article with words taken out of context from the source links.